For at least the past decade, Tijuana vendors put in special orders for designer merchandise, dispatching teams of shoplifters to malls around the country to steal more than $20 Million in loot that could be sold at lower prices in Mexico, according to the indictment unsealed in San Diego, California, federal court yesterday. The highly organized shoplifting ring targeted malls around San Diego County… from Fashion Valley to Horton Plaza to Plaza Bonita — and as far away as Washington, Illinois, Oregon and Maryland, prosecutors said. They used sophisticated techniques to lift everything from Louis Vuitton shoes to Victoria’s Secret lingerie to Abercrombie & Fitch clothing. And when necessary, the suspected thieves used violence, knocking down an infant in a stroller or breaking a loss prevention associate’s arm, to get away with their crimes, the US Attorney’s Office said. 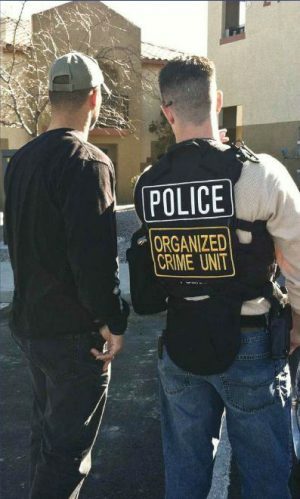 On Wednesday, more than 250 law enforcement officers spread throughout the county with warrants, arresting at least 14 people by the afternoon and searching three homes in Lemon Grove, Chula Vista and San Diego.